Sadly, Ann Hadaway passed away on 3 January this year after a short battle with Lewy Body Dementia and Parkinson's. Ann worked at the University from 1986 until she retired in 2010. She started as an Office Manager in Kent Business School and then moved to Politics and International Relations in 2000 as a Clerical Officer. 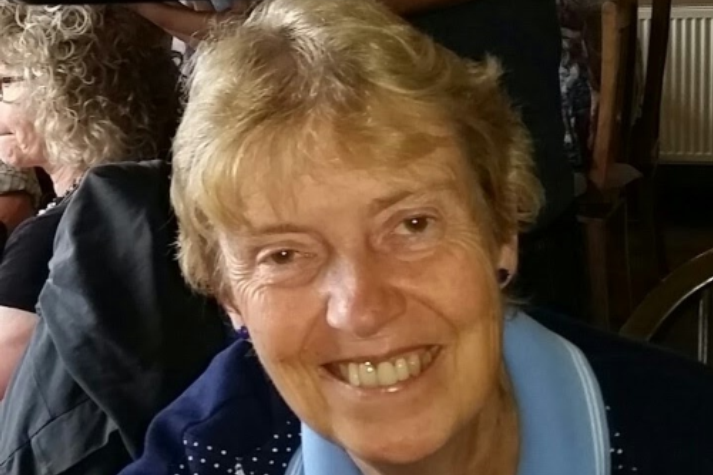 Ann was a much loved member of staff and will be sadly missed by her friends and colleagues. Her funeral will be held on Wednesday, 30 January at 11.20 at Barham Crematorium. A wake will follow at The Castle pub, Oare. The Registry flag will stand at half mast on Wednesday in honour of Ann. A Just Giving page has been set up in memory of Ann to support the research of the Lewy Body Society.